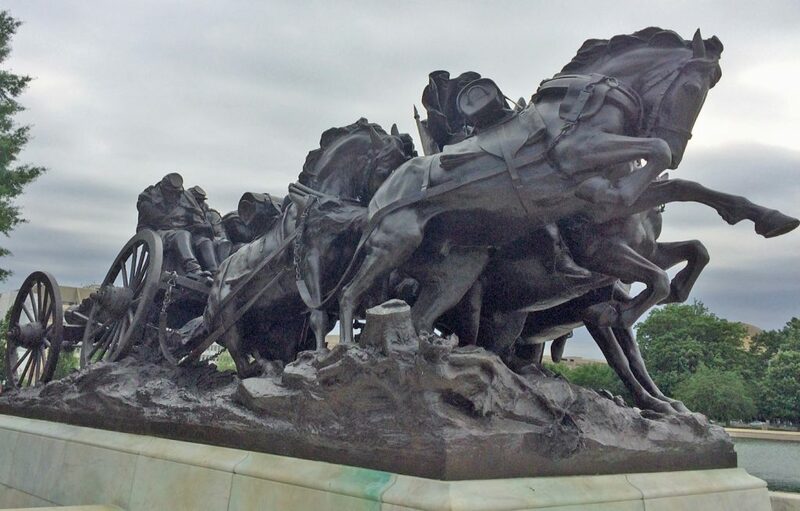 It’s not often I give two thumbs up, a standing ovation or a big cheer, but finally seeing the restored Grant statue with his artillery and cavalry by the U.S. Capitol west side rekindled my faith in excellent work. It looks brand new. The black bronze figures can be touched in places and are simply overwhelming. OK, I’m a geek on statues, but this one is mind blowing now that it’s cleaned and restored. 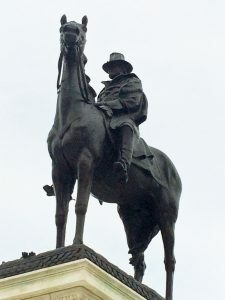 For two years, T. Scott Kreilick and his Oreland, Pa. firm cleaned the nasty green oxidation that covers all bronze statues with a combination of limestone and water. They lacquered and waxed the figures to perfection. And, more than 150 missing or broken pieces were repaired or recreated. The three statues were originally finished between 1912 to 1921. Now, the marble base is being repaired with the north side fenced between Grant and the cavalry. The Grant statue is considered one of the more important outdoor sculptures in Washington. On weekend (and only weekends), you can park free in the nearby semi-circle used by Senate workers during the week. Stroll by, see the statue as it overlooks the nearby pool and the National Mall. It’s well worth the visit. 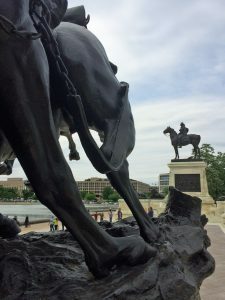 This entry was posted in Monuments and Statues and tagged best DC walking tours, Capitol grounds, Grant statue, Photos by Rick Snider. Bookmark the permalink.